Your Voice, Your Choice: Parks & Streets is a participatory budgeting initiative in which Seattle residents democratically decide how to spend a portion of the City’s budget on small-scale park and street improvements. A total of $3 million has been allocated in the 2018 budget and residents can participate in the district where they live, work, go to school, receive services, or volunteer. You can get involved by attending one of the project development meetings happening throughout the city. These meetings are simply conversations with neighbors about submitted project ideas in your community. Participants will discuss the projects in small groups and then individually score ideas based on physical need and community benefit. 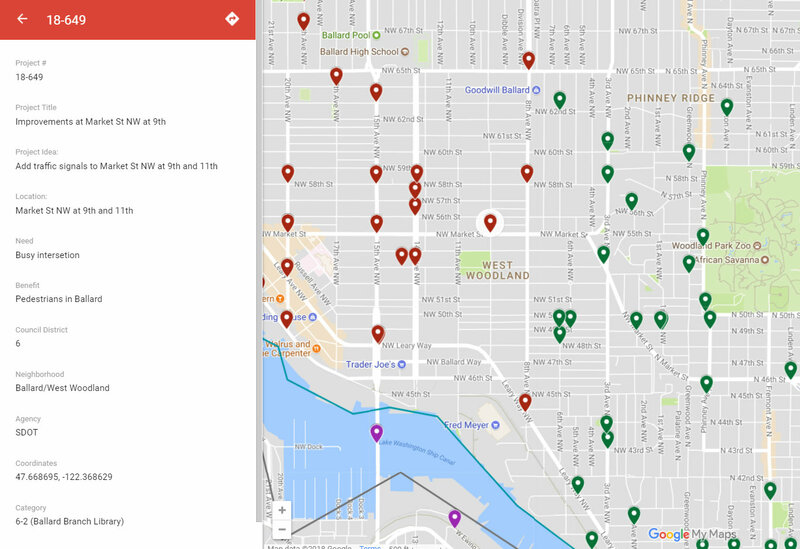 Share your opinion and help Seattle Department of Neighborhoods identify the strongest ideas for park and street improvements.